Active institutions that performed studies embracing the sustainable quality understanding in the field of standardization and quality in Marmara Region were awarded by Turkish Standards Institute (TSE). On March 15th, “World Consumers Rights Day”, quality awards were given during the Marmara Region ceremony of Turkish Standards Institute for four different categories: “Platinum”, “Gold”, “Silver” and “The Jury Private Award”. 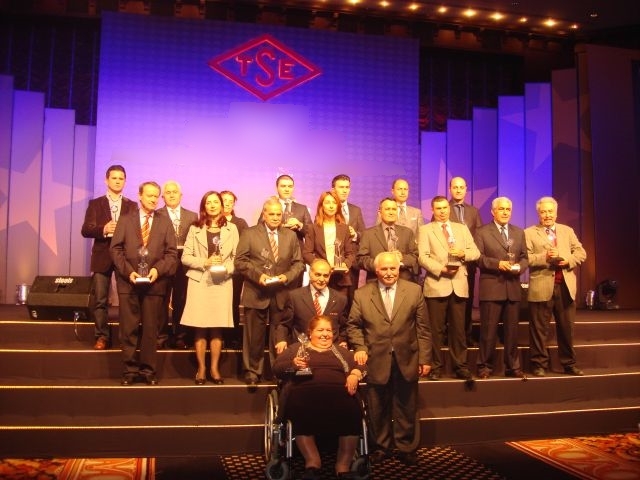 TSE Silver quality awards were given to 179 firms that were granted product and system certificates from TSE for the past 15-20 years and PharmaVision was among the prize holders of Silver category. Our Company continues to work on the quality standards for further development within the pharmaceutical industry.